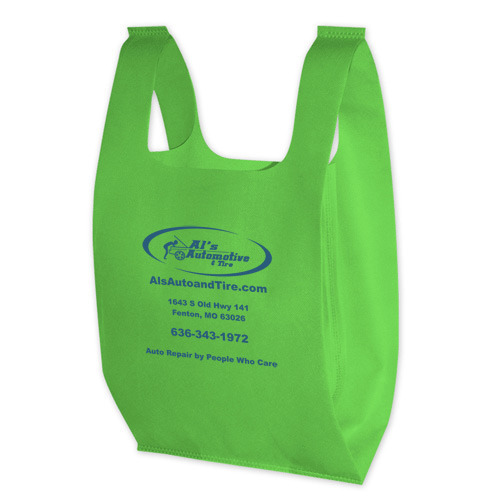 We offer Gusseted Printed T Shirt Bags that are mainly used to place irregularly shaped items. The high density and low density bags are available with twist ties, impulse sealer and bag tape. These are expandable in size and are ideal for storing assortment of products. These gusseted bags are used for packaging materials like chemical, cement, food grains and fertilizers. Available in different sizes, the range is customized as specified by the client. Our wide range is widely appreciated by reputed corporate homes and business houses in India as well as in USA, UK, France, Germany, Dubai and Portugal for features like Eco-friendliness, longer shelf life and vapors and moisture barrier properties. We have Participated PLAST INDIA exhibition Trade Shows.